Exciting times Chez Sourcerist, we are building a wall! Well the lovely Luke is building a wall for us. While it is only 6 courses of brick work high, I am still incredibly excited other than sandcastles this is the closest I’ve come yet to building my own house! 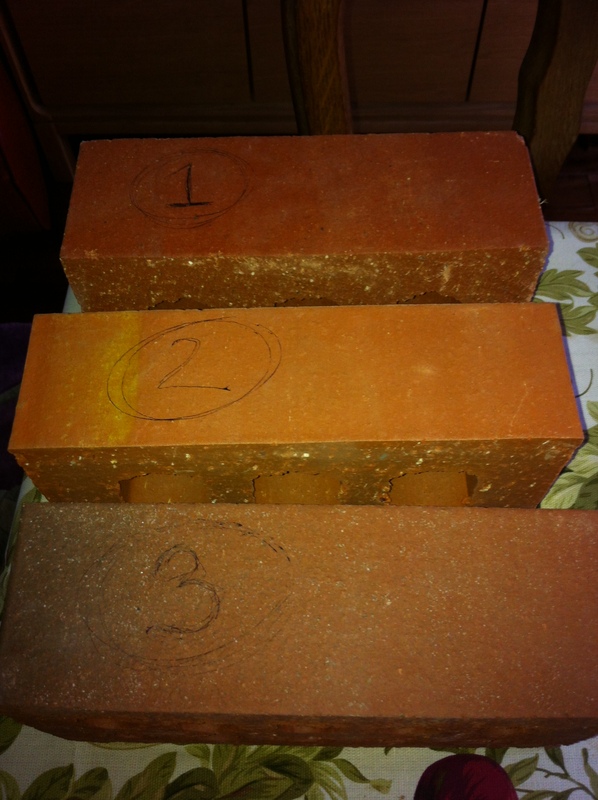 The best part is the samples, Luke dropped off three different shades of brick for us to chose from. The wall will be at the front of the house and replace a grotty wood fence. So do we match the brick on our house (furthest from the wall), the neighbours orange brick wall to the left or the other neighbours original brick wall on the right? I present contestants 1, 2 and 3. And we have a winner with number 1, which matches the house brick the best (sorry neighbours) and lovely Luke is even going to match the mortar to the house’s reddish colour. I hope it doesn’t look too new or too fake old. Before and after photos coming in two weeks time. And speaking of bricks, I’ve wanted to introduce a ‘field trip’ section to the blog since the start. Stay tuned for the first field trip entry on Rust Hoven 17th century house in the Netherlands built and owned by the local brick maker. This entry was posted on February 6, 2014 by The Sourcerist in Projects and tagged brick, garden walls.